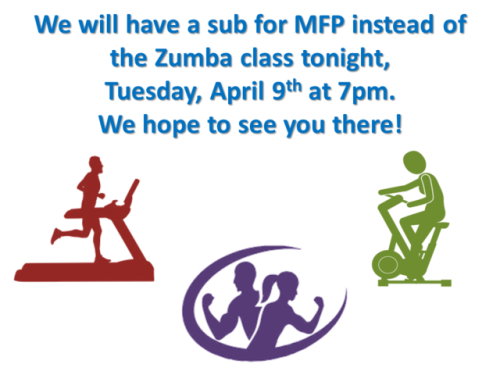 There will be no Zumba class tonight! 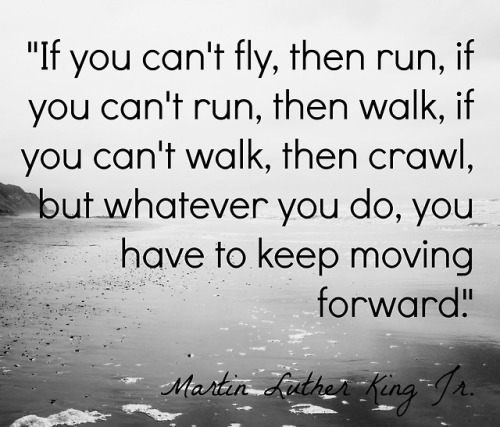 Instead we will have MFP at 7pm! 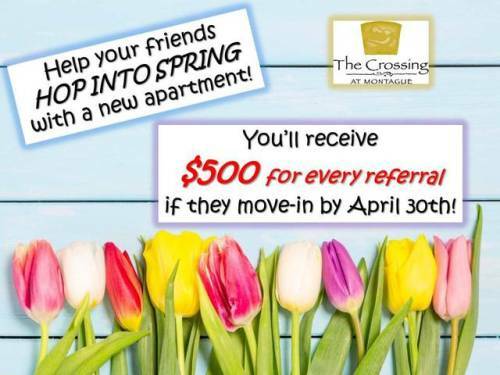 Come in today to see our amazing floorplans!! 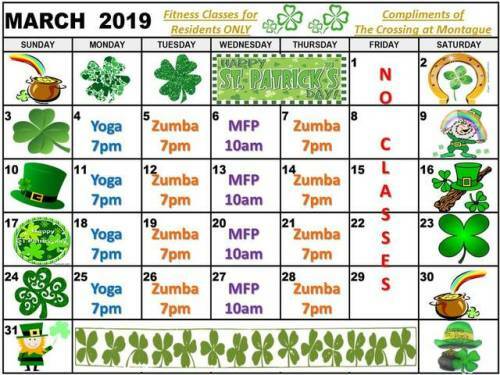 Make sure you keep up to date with our gym calendar as some classes have been changed this month! 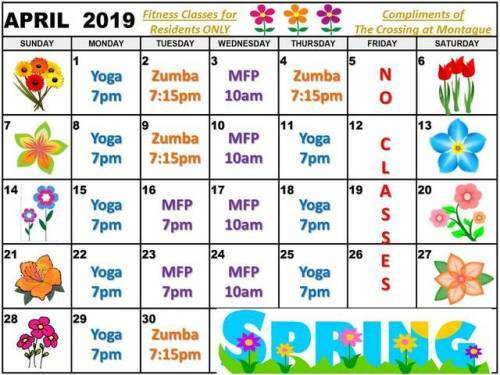 Come by and make sure to try one of our many complimentary fitness classes! It’s a great way to work out with your neighbors and meet new friends! !